The ladies Rolex Date Non-Quickset is a beautiful watch, but there is a little effort in setting the date. 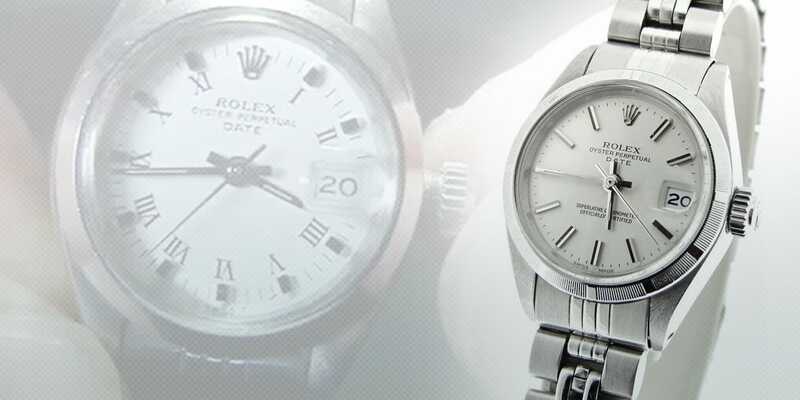 This video illustrates how to set the time and date of your Rolex Date Non-Quickset Watch and how to avoid the date changing 12 hours early or 12 hours late. This is a ladies stainless steel Date or DateJust Reference 6916; it’s also referred to as a non-quickset model. Right now I am going to show you how to wind the watch and set the time and date. Right now, the watch is in its wearing position as the crown is screwed in all the way. The reason you would want to wind the watch is because you just received it and it’s been in the box a few days, or, you have not worn the watch for longer than a day-and-a-half. By manually winding the watch will fully charge the movement and keep accurate time and not to stop on you. We’re going to wind the watch by unscrewing the crown counter clockwise until it unthreads. Next, in a clockwise motion, we are going to wind the watch 20 to 40 full turns and again this will fully charge the movement. Notice that I am going in one direction in a clockwise motion. Now, we are going to set the date. This watch does not have the Quickset date feature in the winding crown, so in order to set the date you must pull the crown to the last position and take the hour hand past the 12 position two times for every 24 hours. Every one-time around is 12 hours. So that was two revolutions around. Now we are a day-and-a-half around. Now we are day and a half-around, so now when we past the 12 again you’ll notice that it will switch one more day. Today is the 23rd. So we are going to go to the 23rd, and it’s early here; it’s only 8:15, so we are going to take it to 8:00 right there. So when we have the time correct, we are going to push it in, and screw up in a clockwise motion and that will make sure that is water tight and now it is in the wearing position again.